Ghorahi is a municipality and largest city of Dang district. It is the second-largest city (after Nepaljung) of Mid-west Nepal. Ghorahi is 23 kilometres north of the Mahendra highway via a spur road from Lamahi. Roads connect Ghorahi to Rukum, Rolpa, Pyuthan and other mid- western part of Nepal. It also connects with road to the Swargdwari, famous pilgrimage site. Ghorahi is an educational hub for the entire Mid-Western region of the country as it is home to both Mahendra Multiple College and Nepal Sanskrit University, Nepal’s only Sanskrit university. Ghorahi has hosted more than 1000 big, small, medium, and cottage industry. Many cement industries are under constructions which are supposed to minimize huge quantity of import of cement from India. 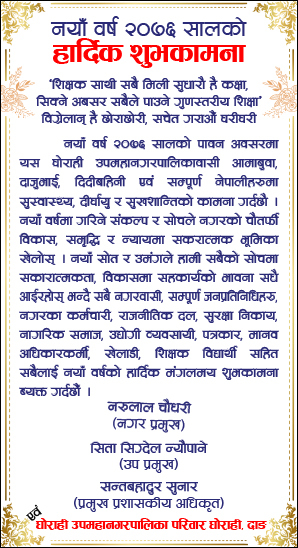 The cement industries like Ghorahi cement industry and Sonapur cement industry have already started their production. 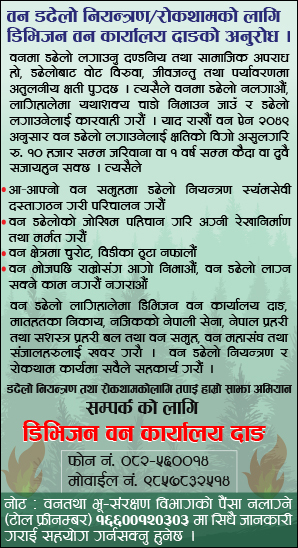 Ghorahi cement industry is supposed to be the largest cement industry in Nepal. Besides, there are several beautiful places to visit here. 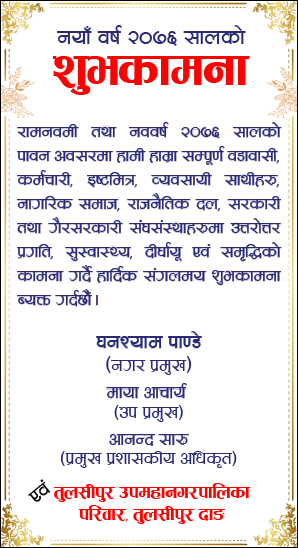 तुलसीपुरको कराते भेँनु अधुरै देखेपछि मन्त्री अच्चमित !